Montreal commuters got a special treat this weekend, as world-renowned cellist Yo-Yo Ma performed a free concert at an underground Metro station. 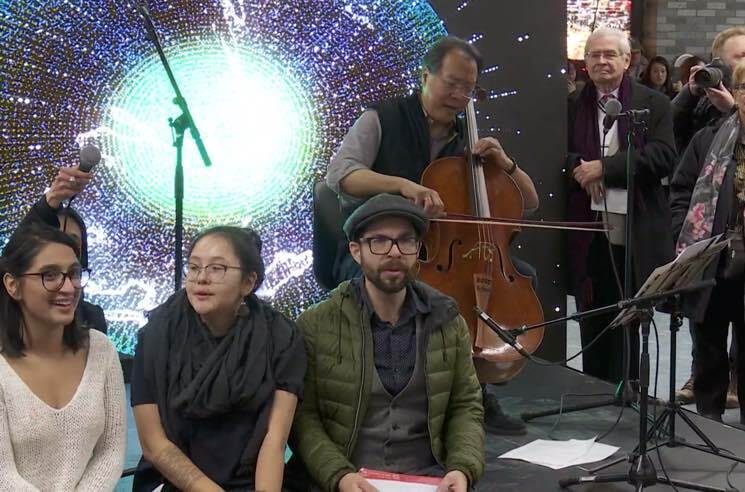 The concert took place at the Place des Arts stop on Saturday (December 8), and according to the musician, the show was an exploration of "connections and disconnections in contemporary lives." As CBC Montreal reports, Ma spoke to the crowd in French and even paid homage to hometown hero Leonard Cohen with a rendition of "Hallelujah." "I'm sure you all know this song that, for me, it signifies Montreal," he said. The crowd eventually joined him in a station-wide singalong. Watch video footage of his performance below.